As a rapidly growing company with locations across the U.S., SolarCity has significant staffing requirements in their competitive new energy sector. We created a custom careers portal for their Operations division, giving them a rich interactive promotion tool, fully integrated with their third party job posting site. 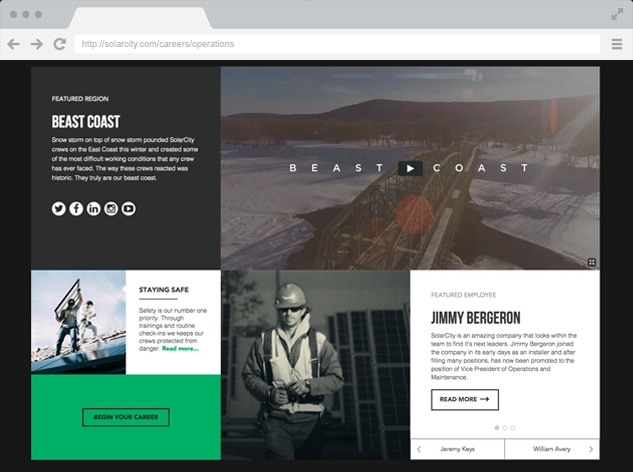 An engaging and easily updated content area allows SolarCity to tell the story of what it's like to work in Operations for the nation's leading solar panel installer. 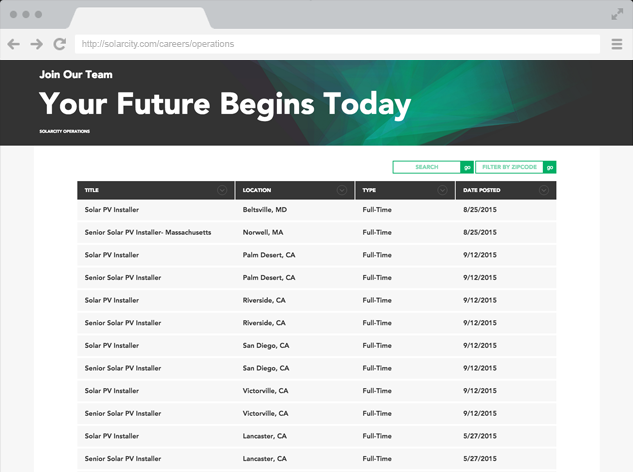 SolarCity has thousands of jobs across the country, all posted on a third party career posting website. Utilizing the vendor site's API, we were able to display, sort, and search all jobs without leaving the carefully branded careers microsite.